This study will examine the role of stress in addiction and the utility of massage therapy to decrease stress during pregnancy. Preliminary evidence suggests massage therapy may be beneficial to decreasing tobacco use, and research in pregnant populations is needed. This grant supports the completion of development of an amputation-related therapeutic massage and bodywork (TMB) research program at Indiana University’s School of Health and Rehabilitation Sciences. Specific Aim 1: Describe general perceptions of TMB and usage for individuals with amputations. Specific Aim 2: Explore and describe the reasons or not adults with at least one amputation seek professional TMB care. Specific Aim 3: Explore and describe perceived treatment outcomes of professionally delivered TMB for adults with at least one amputation. Exploratory Aim: Generate potential relationship hypotheses between TMB usage and self-reported health for individuals with amputation. To meet study aims, we are conducting a mixed methods study using a modified convergent parallel design in two amputation specific populations: those who have received TMB treatments (TMB Experienced) and those who have not received TMB treatments (TMB Naïve). Stage III of the developing research program efforts will combine data from Stages I and II to identify alignment, divergent, and gaps between TMB practitioner and amputation population perspectives regarding TMB for amputation related sequelae. The whole of our efforts will be used to inform evidence based recommendations to TMB researchers, practitioners, and educators. The purpose of this research project is to examine the effects of massage therapy as an intervention strategy to improve parents’ well-being in the context of child rehabilitation from severe injury/illness. Although the symptomatic benefits of therapeutic massage have been documented, massage represents a novel intervention to promote physical and psychological wellbeing among caregivers of children recovering from severe injury or illness. Participants for this study include parents of 40 children receiving inpatient rehabilitation for severe injury or illness at Alexis Verzal Children’s Rehabilitation Hospital in Lincoln, Nebraska. Following enrollment, participants are randomized to receive either three massage sessions per week for two weeks, or one massage session per week for two weeks. For all participants, regardless of group assignment, study outcomes are assessed pre-intervention (occurring at enrollment, prior to randomization) and post-intervention (occurring two weeks post enrollment). Primary outcomes include self-report measures of psychological functioning (positive and negative mood, anxiety, depression) and perceived stress. For our secondary outcomes, saliva samples are collected to assess the effects of massage on salivary cortisol (to measure stress response) and salivary alpha-amylase (to measure autonomic nervous system activation) reactivity during a verbal stress task. Participants’ sleep is also measured using actigraphy. The purpose of this pilot study is to assess the effectiveness of massage therapy for decreasing fatigue, pain, and spasticity in people with multiple sclerosis, in order to improve their health perception and quality of life. Participants will receive a standardized routine of massage therapy by a licensed massage therapist one time a week for 6 weeks. Measures of fatigue (primary outcome measure), and pain, spasticity, and quality of life (secondary outcome measures) will be collected before and immediately after the completion of the 6-week intervention phase. Click here for an article about this study from CBS-WTAJ in central PA.
Myofascial pain syndromes are associated with a high percentage of chronic pain disorders and are characterized by the presence of myofascial trigger points (MTrPs). Massage therapy has been shown to be effective at alleviating myofascial pain presenting as back pain or tension-type headache and specifically reduce point tenderness associated with MTrPs. However, mechanisms by which massage therapy exerts an effect are poorly understood. The MTrP is a tightly contacted nodule within skeletal muscle and research evidence suggests it impedes blood flow, subsequently causing tissue distress and production of pain evoking chemicals. The purpose of this research study is to investigate blood flow at the MTrP following massage to provide inroads into a mechanism of action for massage in the treatment of myofascial pain and MTrPs. Research subjects with myofascial pain expressed as tension-type headache and an active MTrP in the upper trapezius muscle will be randomly assigned to receive trigger point release massage or a control treatment at the MTrP. Interstitial fluid within the MTrP will be collected before and after massage from which markers to assess blood flow will be determined. Chemotherapy-induced peripheral neuropathy (CIPN) is a common debilitating side effect of many standard drugs used in cancer treatment. Research supporting the use of effective treatments for CIPN is lacking and the underlying physiologic mechanisms of CIPN are poorly understood. This one-year feasibility study will test the effects of therapeutic massage in relieving symptoms associated with CIPN. This work will provide the groundwork for clinical trials focused on the physiological processes involved in CIPN, and establish the feasibility of using massage to treat the symptoms of this condition. This non-randomized controlled study will be conducted with 15-18 patients with cancer. The protocol includes 12 therapeutic massage treatments in a 5-week period. Patient changes in CIPN signs, symptoms, pain and quality of life will be measured. Statistical methods will include standard summary statistics, multivariate generalized linear models and correlations between changes in outcome measures. Obesity rates are at epidemic levels in the United States, and novel techniques are needed to combat the issue. Sometimes overweight individuals discontinue exercise programs and fail to reach their weight loss goals. The present study builds on previous research; suggesting weekly massage therapy sessions, as a reward, promote weight management. This research will investigate the intersection of massage therapy with structured and monitored exercise to promote weight management in an overweight population. Participants will be randomly assigned into one of four groups: weekly massage therapy only, weekly massage therapy and structured exercise, structured exercise only, and control. Measures such as bodyweight, body fat percentage, status of emotional eating, salivary cortisol (a physical measurement of stress levels), and psychological measures of stress, anxiety, and mood will be evaluated. Katherina Wiest was interviewed about her research study for Massage Today. Read the article now. In persons older than 65 years of age, falls are the primary cause of accidental death, decreased mobility and independence, and increased morbidity. Research indicates that age-related changes in balance, mobility, and gait are possible contributing factors. Two responses have been observed after a therapeutic massage: 1) Patients may be unstable immediately after treatment, possibly due to changes in blood pressure, the relaxation response, and other physiological factors; 2) Patients may become more stable over time, possibly due to beneficial changes in neural response, anxiety, and the mind-body connection. Little research has been done to examine the influence of massage on balance and postural control. This study will assess 40 healthy volunteers in the 55-75 age group who will be randomized into a non-massage control and a massage treatment group. Functional and static balance measures, as well as heart rate and blood pressure, will be assessed before and after massage sessions. The post-treatment measures will be taken immediately, 20, and 60 minutes after each massage session, and after six weekly massage sessions. Follow-up assessments will be completed for three weeks after the treatments cease so it can be determined how long any changes are maintained. Understanding how this widely prescribed therapy affects balance and postural control is vital to the development of safe and effective treatment protocols. Moreover, if massage therapy proves to improve balance and postural control it could be utilized as a safe and non-pharmacological preventative treatment for falls in older populations. 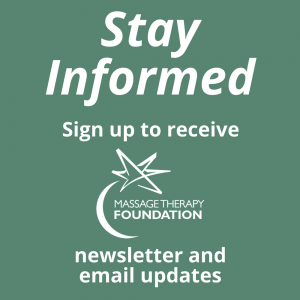 The purpose of this project is to initiate an innovative multisite, multistate practice-based Massage Therapy Research Network (MassageNet) that will ultimately expand the body of knowledge in the massage profession and establish mechanisms to ensure that new knowledge is integrated into massage practice. The first phase of the project will include development of the infrastructure of the MassageNet. The second phase will include: (1) a therapist survey assessing personal demographics, massage education, technology utilization and attitudes, and research interests; (2) a client survey assessing personal demographics, reason for receiving massage care, previous experience with massage care, effects of care, and satisfaction with treatment. 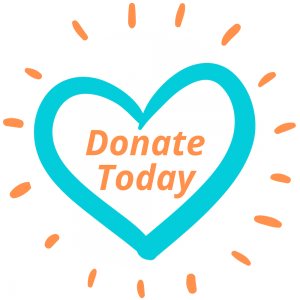 The MassageNet infrastructure will lead to numerous practice-based projects as well as enhanced communication between massage therapists and researchers. The goal of this project was to use massage therapy to reduce the stress and fatigue of caregivers for dying loved ones. Caregiver burnout is a major reason for the institutionalization of individuals who are in the final phases of a terminal illness. Low-income people, especially the elderly or those without extended families, find the caregiver role especially difficult. Twelve to fourteen low income caregivers of hospice patients received massages in their homes, from licensed massage therapists. Five hospices in the Portland area identified people who qualified for participation. Post-massage surveys revealed that massage is an effective intervention that should be considered by hospice agencies. 11 of the 13 caregivers reported an improvement in emotional stress, dropping from a 4.3 to a 2.5 on a 5.0 scale (5=high stress and 1=low stress.) The group’s physical stress dropped from 3.6 to 2.15, while physical pain dropped from 3.3 to 1.8. Ms. MacDonald published an article about this project in the journal Alternative Therapies in Clinical Practice. “Massage as an alternative respite intervention for primary caregivers of the terminally ill” appeared in the May/June 1997 issue. This study investigates whether or not an acute social stress is ameliorated more rapidly and effectively by massage when compared to simple rest. The Trier Social Stress Test for Children (TSST-C) will be administered to female children between 7 to 9 years of age, after which subjects receive either a structured massage or a period of rest. The physiological effects from and rate of recovery from the applied stressor will be measured by the changes in concentrations of salivary cortisone and urinary oxytocin. The research team hypothesizes that the children receiving massage will experience less stress, will recover more rapidly from the stressor and will maintain a state of reduced stress for at least an hour after the massage has been completed. Placement of a Port-a-Catheter is often the only surgical procedure that cancer patients undergo and is frequently performed using local anesthesia alone. The catheter acts as a permanent intravenous device to deliver chemotherapy, to withdraw frequent blood supplies, and may even be used in patients undergoing frequent imaging tests. After the procedure many patients complain of headaches, muscle stiffness and neck and shoulder pain that lasts several days. This pilot randomized-control trial investigates the feasibility and efficacy of massage for reducing pre-operative anxiety and post-operative pain among predominantly low-income minority cancer patients who will undergo surgical placement of a Port-a-Catheter over a nine-month period. The researchers hypothesize that the massage group, when compared to the control group receiving standard care, will show a favorable trend toward less pre-operative anxiety and post-operative pain. Patients with brain tumors often experience elevated levels of distress due to limited treatment options and the often grim prognosis. The objective of this prospective, single-arm intervention study is to determine the safety, feasibility, and acceptability of massage therapy for brain tumor patients and to obtain a preliminary assessment of the efficacy on patient-reported psychological outcomes and patient quality of life. The patients will be recruited from the Preston Robert Tisch Brain Tumor Center at Duke University and the study will be conducted at the Duke Center for Living. The researchers hypothesize that massage will be safe and acceptable to patients; that reports of stress, distress, anxiety and depression will be ameliorated; and that the quality of life of patients will be improved. The focus of this project is to determine the feasibility and benefits of incorporating massage into a community health program for adolescent girls ages 12 to 17 who are overweight and at risk for diabetes. The researchers hypothesize that offering regular massage can be an effective way to improve girls’ well-being, self-worth and body image, encourage healthier behaviors related to nutritional habits and common risk-taking behaviors, and thereby reduce the risk for diabetes. The researchers will recruit 30 to 35 adolescent girls who participate in a health and nutrition program called “Win Win” (Weight Initiative Now) at a major metropolitan health center offering integrative care. Each participant will receive a minimum of six massage sessions over a period of three months, will be surveyed about their experience and will participate in focus groups to gather additional data to evaluate their experiences and the project. This program received a community service grant from the Massage Therapy Foundation in 2006. Massage Therapy has been used to provide comfort to women in labor throughout history but its impact has not yet been examined fully in the modern day delivery setting. The purpose of this project is to evaluate the effectiveness of massage therapy in managing pain among women in active labor. The study will compare women with healthy pregnancies who receive massage therapy in the hospital during active labor with those who do not. The researchers hypothesize that women who receive massage therapy during active labor will experience, for example, less severe pain with contractions, less severe back pain, a shorter first and second stage of labor, and will be less likely to request epidural analgesia. Breast cancer affects 1 in 8 women worldwide. While there have been significant inroads to new and improved treatments for this deadly disease, for many, lymphedema is an unfortunate side effect. This study investigates the efficacy of massage for women with early lymphedema with the intention that the data produced will be statistically significant and thus warrant a larger clinical trial. This pilot, single-blinded, randomized control study will involve 30 women who have had a breast cancer intervention that included surgery to the axilla and who will be recruited from community and cancer support groups in Sydney. After acceptance into the study, women will be randomly assigned to a control group (no treatments received) or a massage group that will receive four 1-hour, manual lymph drainage massage administered by a credentialed, MLD massage specialist. Prior to randomization, the presence of extra-cellular fluid will be assessed by measuring the arms using standardized procedures and participants will be asked to complete symptom presence and quality of life surveys. Using BIS (bio-impedance spectroscopy) and the Lymphedema Assessment Tool, the study will identify pre and post changes in tissue density and extra-cellular fluid, as well as physical symptoms, functional difficulties and psychological and social burdens suffered as a result of living with lymphedema. This neuron-imaging pilot study aims to dissociate the effects of massage therapy from human touch at the neural level and to determine the brain regions and circuits activated in response to a therapeutic massage (reflexology). It is posited that different neural circuits will be activated during each of the following four experimental conditions: resting state (as a comparative measure), hand contact, massage with a foot roller and a reflexology massage. Blood oxygenation level dependent (BOLD) signal changes will be measured during the four experimental conditions lasting 15 minutes each. It is expected that the reflexology massage treatment will provide greater activation than in any of the other conditions, in brain regions associated with emotions, learning and memory as well as perception, cognition and conscious awareness. It is further suggested that the massage therapy treatment plays an important role on the motivation and reward system of the brain. If this is the case, then the researchers wish to extend these exploratory investigations to populations suffering from mood disorders and examine whether tactile stimulation will aid in the modulation of negative affect. The hypothesis is, if massage can impact emotional regulation by activating neural circuits involved in reward and motivation, it can change behavior as well. UPDATE: This study was published in the April 1, 2007 issue of Complementary and Alternative Therapies. Citation: Russ Mason. Alternative & Complementary Therapies. April 1, 2007, 13(2): 92-97. doi:10.1089/act.2007.13208. The objective of this study is to determine whether five-minute foot massages can reduce heart rate, blood pressure and respiration rate while increasing heart rate variability (HRV) and peripheral oxygen saturation in pediatric intensive care patients. Sixty participants between the ages of 3-17 who do not have any presenting heart conditions will be recruited for this study. Participants will be recruited as they enter the intensive care unit during which time the patient and family experience a great deal of stress. While measuring the effectiveness of a five-minute foot massage on physiological signs of tension and stress, the researchers hope the findings will have a profound impact on how massage therapy is both viewed and implemented in a pediatric hospital setting. The long-term objective is that massage therapy be introduced and utilized in a safe, practical and non-invasive approach in decreasing anxiety and length of hospital stays while increasing the patient’s overall well-being and family’s satisfaction with the services offered. This study will measure the effects of cross-fiber massage, a specific form of connective tissue massage widely used in the management of musculoskeletal conditions, on a bilateral knee ligament injury in rodents. The participant pool will consist of 25 female rodents who will receive cross-fiber massage for one minute, three times per week for ten weeks for a total of 30 treatment sessions. Injuries to the musculoskeletal system are frequent and costly and can result in chronic problems in joint laxity and the development of degenerative joint disease. By issuing a cross-fiber massage intervention, the researchers hope that tissue-level healing will be augmented and a reduction of recurrent ligament injuries will occur. This pilot study had three aims: to determine the feasibility of a full-scale randomized clinical trial to assess the relative effectiveness of massage therapy and self-care education for tension type headaches; to assess if individuals with tension-type headaches would experience clinically important changes after a 10-week therapeutic massage regimen; and to describe the participants’ and massage therapists’ experiences with massage as a treatment. Researchers determined that a full-scale trial is feasible although it was found that self-care education was not a good comparison to massage therapy. The massage therapy produced very positive changes in the duration, intensity and disability associated with tension-type headaches. With a small sample size of 25 people, however, a full-scale study will need to occur in order to draw conclusions from the data. Update: Measurement of regional cerebral blood flow associated with the M technique-light massage therapy: a case series and longitudinal study using SPECT was published in JCAM Oct 2008. The aim of this 2-study research project was to measure the physiologic effect of the M technique on the brain using single photon emission computed tomography (SPECT) and compare it to conventional massage therapy. METHODS: In the first study, 4 participants received 1 M technique session. Each participant was injected through the intravenous cannula (IV) with 7 mCi (99m)Tc and scanned using SPECT before the M technique session, and then was injected with 25 mCi (99m)Tc through the IV and scanned using SPECT after the M technique session. In the second study, 1 participant received 10 conventional (Swedish) massages and one participant received 10 M technique sessions. Both participants were injected and scanned (using the identical scanning parameters as in Study 1) before, and immediately after, their 1st and 10th sessions. Baseline and 1st, and baseline and 10th sessions were compared using paired t tests. Although the activation changes were positively correlated for the M technique and massage participants (r = 27, p < 0.05), when activation changes around the 1st and around the 10th sessions were compared (using paired t tests), significant differences emerged. There were significant activation changes for the M technique participant [t(64) = 2.32, p < 0.05): In particular, there was a 40% activation change and directional change in regional cerebral blood flow in the right caudate, which was not seen in the massage participant. The precuneus showed an approximate 15% reduction in activation changes around the M technique session for both the 1st and 10th treatment, but not for the massage participant. These findings suggest that the M technique and conventional massage may both elicit blood flow brain activation changes; however, the participants’ responses did differ. The M technique revealed greater changes (particular in the right caudate), and these responses increased when the M technique was repeated over time (unlike massage). These findings have implications for future research into the potential mechanism of the M technique in the treatment and care of patients. Publication update: Family Caregiver Provided Massage for Rural-Dwelling Chronically Ill Persons, Home Healthcare Management and Practice, November 2008. The aim of this pilot study was to test the feasibility and potential effectiveness of a massage intervention aimed at enhancing the well-being of family caregivers and their loved ones receiving hospice care and at positively impacting the caregivers’ grief response. The results of the study serve as the basis for the potential development of a larger study using an experimental design to fully evaluate the effects of the intervention on caregiver and care recipient outcomes. Caregivers in the study were trained to administer a gentle massage each day to their loved one at the end of life during a two-week intervention period. The study will evaluate the potential effects of the massage intervention on caregivers’ stress, mood, qualify of life, and burden during the intervention period and six months after the hospice patients’ death. The investigators hypothesized that the intervention will positively impact the caregivers’ grief resolution and also provide immediate benefits to both the caregivers and the massage recipients. Massage Therapy (MT) is an ancient form of treatment that is now gaining popularity as part of the complementary and alternative medical therapy movement. A meta-analysis was conducted of studies that used random assignment to test the effectiveness of MT. Mean effect sizes were calculated from 37 studies for 9 dependent variables. Single applications of MT reduced state anxiety, blood pressure, and heart rate but not negative mood, immediate assessment of pain, and cortisol level. Multiple applications reduced delayed assessment of pain. Reductions of trait anxiety and depression were MT’s largest effects, with a course of treatment providing benefits similar in magnitude to those of psychotherapy. No moderators were statistically significant, though continued testing is needed. The limitations of a medical model of MT are discussed and it is proposed that new MT theories and research use a psychotherapy perspective. Copyright 2004 by the American Psychological Association, Inc. The objective of this study was to investigate the effects of applying varying levels of massage pressure on muscle tension. The initial hypothesis was that incremental pressure would be more effective in reducing muscle tension than decremental pressure. Subjects included 26 adults with no leg pain or leg injuries. Each subject received two massage sessions during which the subject rested for 15 minutes and then received both incremental and decremental pressure applied to each rectus femoris muscle. Changes in muscular tension were assessed during each experimental session using surface electromyography (SEMG). The study results demonstrated various conclusions. Increasing and deep pressure applied to the rectus femoris muscle produced an increase in muscle tension. Applying light and moderate pressure prior to the application of deep pressure prevented the increase in tension. When muscle tension was elevated due to deep pressure, light pressure produced muscular relaxation. These results are consistent with a mechanism by which massage may relieve chronic pain and anxiety by reducing excitability in the central nervous system. This study had two aims: to extend the research investigating the benefits of massage therapy for migraines by comparing a standard massage protocol to an individualized massage protocol, and to investigate the duration of the effects of massage. Subjects were assigned to either an individualized massage group, a standard massage group, or a control group of daily diary writing. The study found that at the empirical level, both massage groups experienced an immediate effect on parasympathetic nervous system activity, indicative of a relaxation response. The individualized massage group demonstrated a longer term reduction in migraine frequency and an increase in quality of life. Some effects lasted up to three months following the intervention. Researchers conclude that individualized massage protocols may be an effective treatment for migraines, however, since this is one of the first studies to compare standard massage to individualized massage protocols for migraines, more research needs to be done to test the effects of massage for migraines. The mechanism linking muscle damage to unaccustomed eccentric exercise is not fully understood. In some cases this lack of understanding has led to inappropriate interventions and a lack of clarity regarding interventions applied. The objective of this study was to examine the effects of warm-up, stretching, and massage on knee flexor muscle properties and severity of muscle damage after eccentric exercise. Thirty healthy adult males were randomized to a warm-up, stretching, or massage intervention. Strength and flexion range of motion decreased immediately after eccentric exercise with all three interventions but the decrease was least with the warm-up intervention. Warm-up showed an immediate small effect in reducing stiffness. The researchers concluded that warm-up was the most effective intervention in reducing stiffness and function loss of the knee flexor muscles after eccentric exercise. The objectives of this study were to compare the effectiveness of general and specific massage protocols in treating symptoms in persons with a clinical diagnosis of Carpal Tunnel Syndrome. The treatment protocol consisted of 30-minute massages with 27 subjects twice weekly for six weeks. Each subject was randomly selected to receive either a general upper body massage or a specific massage consisting of myofascial release, trigger point therapy and friction massage in the afflicted arm and neck regions. Results demonstrated significant improvement of objective strength measures, fine motor control and symptom severity and function for both the general and specific massage groups. However, no change was seen in range of motion measures. No statistically significant differences in the results were found between the general and specific groups. Recommendations for future research include a larger, randomized, longitudinal study to provide valuable information on the long term results of manual therapy intervention in Carpal Tunnel Syndrome. Results from this study were published in the Massage Therapy Journal in the Spring of 2004. A study was also published in the October 2006 issue of Journal of Bodywork and Movement Therapies, Volume 10, Issue 4, Pages 335-342. Studies have shown that hospital bedside nursing is a stress-loaded occupation. Massage therapy has been shown to be an effective intervention in stress management. The goal of this study was to determine if a 10-minute onsite chair massage was more effective at reducing stress perception of hospital bedside nurses than a 10-minute break. The study design was a randomized trial with a control group, who took a 10-minute break, and a study group, who received a 10-minute chair massage at a small suburban hospital on the maternity, medical-surgical, telemetry, and critical care nursing units. A total of 82 bedside nurses participated. The study found that stress perception was significantly lower in the study group after the chair massage (P<.05) and not significantly changed in the control group. The results of this study support the effectiveness of chair massage in the reduction of stress perception for this population. Further research is warranted to study the feasibility of providing chair massage on a regularly scheduled basis on a nursing unit, as well as its impact on other aspects of a nursing position, such as job satisfaction, retention, absenteeism, injury and workers’ compensation claims. Additionally, it would be beneficial to study the effects of chair massage with individuals in other occupations that are identified as being high stress and burnout occupations. Results from this study were published in Family and Community Health in the fall of 2006. This study was also featured in the January/February 2007 issue of Massage and Bodywork. The purpose of this study was to assess whether massage could positively affect the health of infants being raised in orphanages. Subjects were thirty-seven infants with no congenital birth defects residing in two orphanages in Quito, Ecuador. The subjects were randomly assigned to either an experimental or a control group. Infants in the experimental group received 15 minute massages daily for 53 days. Infants in control groups received 15 minute individualized play sessions daily for 53 days. Massages were administered by orphanage volunteers and staff trained in infant massage prior to the study. The first two weeks served as a baseline to establish the infants’ usual health status. Researchers found that infants in the experimental group experienced more days of wellness and fewer days with symptoms of illness than infants in the control group. Although findings between groups were not statistically significant, results suggest that infant massage may reduce illness among infants in orphanages. Given that this was a pilot study, a follow-up study should include a larger sample to determine the effects of massage on infants’ immediate and long-term health outcomes. The results from this study were published in 2007 in Complementary Therapies in Medicine in an article titled “A randomized study of the Effects of Massage Therapy compared to Guided Relaxation on Well-being and Stress Perception among Older Adults”. The results from this study, “Methods for Improving Range of Motion of Older Adults” were published in the Fall 2002 issue of MTJ. Balance and mobility are critical factors in maintaining independence and decreasing the risk of falls in the elderly. The main purpose of this study was to examine the effects of massage on measures of physical function among independently living older adults. There were 25 participants in the study and each received 8 fifty-minute massages. The average age of participants was 68 and the majority of participants were female. Researchers found large improvements in shoulder mobility and in hip flexion after massage intervention.. They also found significant improvement in balance among the massage group. Researchers concluded that if massage therapy increases an individual’s mobility, it should decrease their susceptibility to falling. In turn, this should decrease long term hospitalization, as well as admission to nursing homes. Due to the small sample size, a larger study is warranted and is hypothesized to achieve even more significant results. The purpose of this study was to determine if massage therapy reduces anxiety and fatigue in children with cancer and their parents, and if massage reduces pain and nausea in children undergoing chemotherapy for cancer. Participants for this study were children ages 1-18 with cancer who were receiving chemotherapy and had at least one parent. Seventeen children participated in the study. The children received full body massages once a week for four weeks and parents received seated massages once a week for four weeks. Subjects in the control group participated in quiet time sessions of the same frequency and duration. Results showed that changes in cortisol, blood pressure, pain, nausea, and fatigue were insignificant. However, the majority of the children reported a positive response to massage and said it lowered their anxiety and was helpful. Parents reported feeling less anxiety and physical tension as a result of massage. Larger studies are needed to determine the effectiveness of massage on clinical outcomes as well as effects on family function and distress. Jo Ann Wilson, R.N., M.Ed. In 1999, the Jack Meagher Institute was awarded a research grant to study the effect of sports massage on range of motion in athletes. This type of study was a first for the Foundation because it used non-human subjects: horses. In some studies, research is first performed on non-human, animal subjects to study its efficacy and safety. In this study, one benefit to performing research on horses is that it eliminates the chance of a placebo effect in the athletes, and gives more reliable feedback as to the effectiveness of the massage. The goal of this study was to increase the range of motion in athletes with the use of massage. This study was performed on five horses of the same breed, similar size, weight, and approximate age. The stride length and frequency of walk and trot were measured to determine the horses’ range of motion before the massage treatment. Ultrasound images were recorded of the specific targeted muscles to measure the diameter of the muscle bellies and muscle tendons. After these measurements were taken, the horses were massaged for 20 minutes using direct pressure, cross-fiber friction, and compression on the targeted muscles. After the massage, the same measurements were taken again to determine the differences in range of motion. The study found an increase in range of motion in the horses. This was demonstrated by an increase in stride length, coupled with a decrease in stride frequency (the decrease in stride frequency indicated that more distance was covered per stride). The data has important implications for the positive effect of sports massage on athletic performance. Further research is needed to study the effects of sports massage on horses and human subjects. Margaret L. Hodge, R.N., Ed.D. Dr. Hodge has written a two-part article about this study, for MTJ. The first piece, “Effects of Work-Site Acupressure and Massage (Part I),” appeared in the Fall 2000 issue. Part II, “Effects of Work-Site Acupressure and Massage (Part II)” appears in the Winter 2001 issue of MTJ. This study examined the effectiveness of worksite acupressure/massage (WSAM) in relieving stress among healthcare workers. The experimental group received 20- minute acupressure massages twice a week during breaks. The control group received a break, but did not receive special treatments during that time. Several results of the study reveal promising benefits of WSAM. Subjects in the experimental group demonstrated less anxiety and depression than those in the control group. Some subjects in the experimental group—those who worked the longest shifts—also experienced improved sleeping patterns. Furthermore, those in the experimental group enjoyed decreased blood pressure and muscle tightness, as well as better cognitive practices than those in the control group. These results are promising, but not definite. Additional research might further explore the benefits of massage for health care practitioners. It might also examine whether these benefits ultimately improve quality of care for the patient. Bone Marrow Transplant (BMT) is an excellent weapon against pediatric cancer but it’s also a physically and emotionally demanding process for children. For this reason, interventions to reduce the stress of BMT are important. This study examined whether a massage intervention could reduce distress among children undergoing BMT. Researchers examined whether differences would be experienced between massage provided by licensed massage therapists and massage provided by parents after being trained by massage therapists. A total of 50 children were randomly assigned to one of three groups; professional massage, parent massage, and control (no massage). Primary outcomes assessed included somatic distress, mood disturbance, compliance, quality of interactions among others. Secondary outcomes assessed were use of medications, days spent in the hospital, and days until signs of engraftment of new bone marrow. Results found no significant differences among the two massage groups. Researchers saw promising trends toward the benefit of massage on primary outcomes, however, none were statistically significant. In contrast, significant differences emerged regarding the secondary outcomes of days in the hospital and days to engraftment — suggesting that massage may play a role in the immune process of engraftment and may shorten hospital stays for some BMT patients. This study examined the effects of massage therapy in reducing pain and improving health among low income Hispanic and Caucasian women who suffer from chronic pain. In many cases, chronic pain is part of more complex mental health problems, such as depression and anxiety. Full-body massage therapy, which is not readily available in poorer communities, offers a complementary approach to standard treatments for chronic pain. The researchers hypothesized that massage therapy would be useful in reducing pain, improving functional health, and curbing excess medical utilization in these patients, for at least eight weeks after the program. A total of 48 low-income Anglo and Hispanic women participated in the study. Each subject in this study received eight 1-hour massage treatments. Results showed that mental health scores differed significantly among Anglo and Hispanic women as a result of massage, but scores were not improved for either group. However, physical health scores improved significantly for both groups following massage therapy and were sustained through the follow-up period. Results from this study suggest that massage therapy can be a lasting and effective treatment for improving physical functioning in women with chronic pain who are able to participate in a sustained massage treatment program. This study examined the possible benefits of therapeutic touch during the bereavement process of mothers whose children have died. Specifically, this study investigated how therapeutic touch affected important psychological constructs in these mothers. Researchers used a therapeutic touch modality, Trager Psychophysical Integration, to investigate these issues. Eligible subjects were mothers whose children had died in the last six to sixty months. A treatment group of thirty-one women received eight sessions of Trager bodywork over fourteen weeks. A comparison group of thirty-four women participated in a self-help support group for the same period. This group was highly biased in favor of the Caucasian middle class, which means that research with other populations is needed to compare results. Researchers hypothesized that bereaved mothers who receive therapeutic touch will demonstrate less severe grief symptomatology than mothers who do not receive such touch. Signs of severe grief symptomatology are high levels of anger, hostility, guilt, social isolation, and loss of control. The Trager touch modality did not have a significant impact on the overall cluster of attitudes within the bereaved women. However, it did positively impact feelings of despair and depersonalization. This finding suggests that different aspects of grief respond differently to therapeutic touch; teasing out these aspects and responses is an area for further research. Cynthia Myers, Ph.D. and Michael Robinson, Ph.D. This study examined the effectiveness of alternative approaches to the management of chronic pain in patients with sickle cell anemia. Researchers hypothesized that massage would relieve pain, by increasing blood flow. One group participated in six massage therapy sessions. A comparison group of subjects received training in a relaxation procedure that did not include massage. This arrangement helped researchers ascertain whether massage therapy is particularly effective in pain reduction. The relaxation patients received progressive muscle relaxation training—in which they relaxed different muscles in their body in a sequential order—during six weekly, one hour sessions. The massage therapy patients received one massage therapy session (“hands-on” time for thirty minutes) each week for six consecutive weeks. All subjects completed questionnaires at the beginning and end of the study, and researchers evaluated their pain levels using several scales. The researchers used these methods to assess differences in levels of pain between the two groups. A total of 16 people began the study, and 12 people completed it. Both in the short term and the long term, massage and progressive relaxation techniques were equally effective in reducing pain. In order to verify these results, this study needs to be replicated with a larger pool of patients. During that research, one complication will be important to keep in mind: pain levels naturally fluctuate in sickle cell patients. Therefore, it is difficult to say for sure that a particular intervention decreased the pain. A related complication is that sharply increased pain makes it difficult for people to keep appointments. For this reason, future research could be more effective if it occurs in patients’ homes. This study investigated the effects of massage therapy on the immune system during a stressful period of time, in order to assess the immunological consequences of massage. Because research has demonstrated that immune function is temporarily suppressed during stressful events such as examinations, this study examined whether massage can increase immune function during academic stress. Nine healthy medical students received a one-hour full body Swedish massage one day prior to an examination. Researchers gathered blood samples before and after the massage to assess any immune changes. Additionally, the investigators administered questionnaires focusing on life stress and anxiety when they drew the blood sample. They did so in order to document any change in subjective stress levels resulting from the massage treatment. The results of this study indicate that the massages were relaxing, as evidenced by the decreases in respiratory rate and self-reported anxiety levels. Furthermore, the massages led to an increase in the total number of white blood cells and natural killer (NK) cells, along with a decrease in the percentage of T cells. Because all of these developments lead to improved immune function, this study points to the use of massage therapy in reaching this goal. Further research, with a larger subject pool, is necessary to confirm these results. Because the findings in this study were short-term, it is also important to determine the long-term immunological effects of massage. Ms. Zeitlin published her findings in a Letter to the Editor of the journal Psychosomatic Medicine. The Letter appeared in the January/February 2000 issue. Additionally, results from this study, “Immunological Effects of Massage Therapy during Academic Stress” were published in the Summer 2001 Issue of MTJ. This study examined the effects of Connective Tissue Massage (CTM) on the incidence of migraine and pain in chronic migraine sufferers. One group received CTM, and a comparison group received superficial Swedish massage. Licensed massage therapists administered both techniques. Researchers determined whether there were statistically significant differences in the incidence of migraine and pain between the two groups, and within each group. They also analyzed how these effects changed over time. Both CTM and Swedish massage decreased the effects of migraine during the massage sessions, but only Swedish massage was effective after the sessions were complete. (This was a slight effect, not a significant one). This finding refuted the researchers’ hypothesis that CTM would be a more effective intervention than Swedish massage. There are several possible reasons for this: the short length of the study; the small sample sizes (10 people receiving CTM and 13 receiving Swedish massage); and the effect of pharmaceuticals on the well-being of participants in the study. All of these mitigating factors point to the need for further research. A supplemental grant was awarded to Pauline King to present this study at the World Congress of Psycho-Oncology’s Symposium, “Global Psycho-Oncology in the Next Millennium” in October 1996 in New York City. More than one thousand people, from forty-eight different countries, attended this symposium. Despite the relatively common use of massage techniques, only a few studies have assessed the efficacy of massage in alleviating pain and anxiety in cancer patients. If massage is effective in moderating anxiety, it could be an effective way to augment pain medication. This study had two main components. The first was an analysis of the effects of a 15 minute massage protocol on anxiety reported by adult patients receiving treatment for cancer. The second was a determination of the efficacy of this massage protocol, as an adjunctive intervention to pain medication, with adult patients experiencing cancer pain. A control group received standard care for cancer, along with a visit from a volunteer. The sample size for this study was 52 patients, 29 in the experimental group and 23 in the control group. Results suggest that massage was helpful in reducing anxiety and pain among the experimental group. Furthermore, by the end of the study, doctors and nurses were requesting that their patients receive massages. This was a major change in the culture of the hospital, which has typically relied upon injections and medications to relieve cancer pain. More studies on massage for cancer patients are needed to clarify these results. Physiological recovery following competitive swimming events is a very important determinant of performance during championship meets because of the necessity to repeat high intensity efforts in a short period of time. The purpose of this study was to evaluate the efficacy of massage on active recovery in swimmers. Twelve national level competitive swimmers in Vancouver, BC participated in this study. In order to test the effect of massage on recovery, researchers measured the swimmers’ lactate levels in the bloodstream. The researchers found that when massage therapy after exercise was compared to passive recovery no differences were observed in lactate levels. They concluded that massage is no more effective than passive recovery in reducing levels of lactate in the blood and in other words, bringing the athlete back to resting metabolic rate. Additionally, the researchers posited that this may indicate that the effects of massage are psychological: the athlete’s psychological outlook improves and thus athletes continue to use massage after exercise because it makes them feel good. The purpose of this study was to examine the effects of petrissage—a massage stroke which utilizes the thumb and forefinger to apply pressure and stretch to the muscle—on spinal motoneuron reflex excitability in persons with spinal cord injuries (SCI). Massage holds promise as a non-invasive, non-pharmacological treatment for spasticity. Spasticity creates involuntary, hyperactive movements of the stretch muscles. These movements interfere with a person’s ability to change their position, and can even result in paralyzed muscles. There are various methods for controlling and reducing spasticity. Drugs are commonly prescribed; they may relieve specific spasms, but they can also weaken muscles without reducing spasticity. Surgical treatment is another option. This can be effective, but it can also cause dangerous side effects. The research hypothesis was that petrissage would inhibit spinal motoneuron activity in a population of neurologically impaired subjects. This process would inhibit spasticity itself, and not just control its symptoms. Eighteen people with SCI began the study, but only 14 participants completed it. Results with this population demonstrated that petrissage can selectively inhibit spasticity. Because petrissage is relatively easy to learn, patients and family members can use this technique to inhibit involuntary spasms. This is not true for all spasms, such as those from traumatic brain injury and multiple sclerosis. Because of the small sample size and the current limitations further research about this topic is needed.